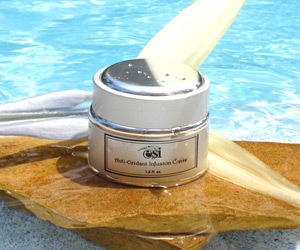 Leave in anti frizz detangler. 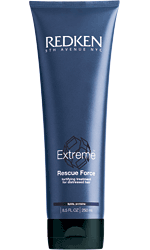 Tames, detangles and helps control frizz for lasting memory, manageability and shine. 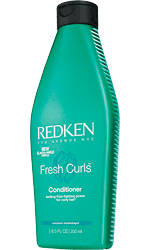 Specifically formulated for unruly curls. Apply to towel-dried, unruly curly hair. Comb through to distribute evenly. Leave-in, style as usual. 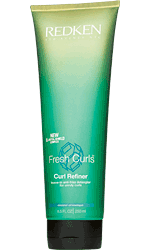 Use with Fresh Curls Anti-Frizz Shiner for ultimate results. 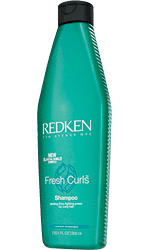 Through Redken's exclusive Interbond Conditioning System and breakthrough Elasta-Shield Complex, Fresh Curls provides the optimum level of curl-friendly ingredients to define, moisturize, fight frizz, repair and strengthen any type of curl.